Experiencing Burnout - An owner may get tired of running the business and its continued demands. Age and Health Considerations - As an owner ages or experiences declining health, the sale of the company looks more inviting. Liquidity - An owner of a privately owned company wants to realize the value of past labors. Raising Capital - The owner may need to expand the company's working capital. Exploring Other Opportunities - An owner may want to pursue another line of business or to spend time in other ways. Reduction in Taxes and Risk - Often, transactions can be structured to reduce the taxes an owner pays when the company is sold. 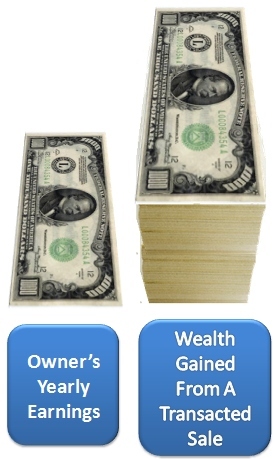 Risk is reduced when an owner converts a non-liquid security (their business) into cash. Estate Planning - The liquidity an owner achieves from a merger greatly enhances their ability to transfer wealth to heirs, meet estate tax obligations, and guard against the financial anguish a distressed sale can bring. Bruce D. Schulman & Associates will be happy to discuss with you the possibilities of selling your company, answer any questions you may have about the process, or discuss the value that you would receive if you did sell or merge. You will be under no obligation and confidentiality will be strictly maintained.